For decades and more, parents have been trying to figure out the very best ways they can help their children to be the best and the brightest where their education is concerned. This is also why there have been so many studies conducted on this matter. Even researchers and scientists are beyond interested in what it takes for a child to rise above the average level of intelligence. The results of these studies? It has been proven time and time again that children who attend afterschool programs are more likely to succeed in school. This is because these children see afterschool time as a social and active part of their day rather than an educational one. While they are still continuing to learn, this isn’t exactly obvious to them because they are able to engage with other students in a fun, less structured way. Children who are enrolled in afterschool programs also show more interest in furthering their education in the long run. Seeing as how they are much more engaged in the materials they are learning than those who do not attend afterschool, the desire to drop out of school or not continue on to college is much lower. Another benefit to enrolling your child in an afterschool program is that they are much less likely to get in trouble when they are in their classes. This is thought to be due to the constant supervision these children are given, as opposed to other children who head home to spend time alone after school. While getting A’s across the board does not mean that your child is meant to be a rocket scientist, it certainly will work to help them succeed in the long run. We know you wish you were able to get off work at the same time your child gets out of school but that is simply not how the world works. If it was, you would have an abundance of time to help your child with their homework, but again, this just isn’t the way things work. At many afterschool programs, the staff works alongside the children on their homework to ensure that any lessons that may not have been completely understood while the child was in class, won’t simply become an oversight. Without this assistance, many children would simply turn in homework that is not completed correctly, which is not going to benefit the child at all. Additionally, giving your child time to interact with other children is imperative should you want them to be able to succeed long term. Social skills are some of the most important ones a child can acquire at a young age. Children will not only develop important aspects of their own personalities like wit and problem solving skills, but they will also learn how to share and show respect to others. It’s also just a perk that your child will also simply enjoy being able to spend time around kids that are his/her own age. You want your child to enjoy every single day as much as they possibly can, don’t you? 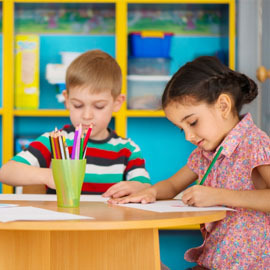 When your child is enrolled in an afterschool program, they will be able to spend an hour or two a day running, playing, doing crafts and much much more. This also happens to be fun for you because once you get them home and at the dinner table, you will be in store for plenty of storytelling about the many exciting things that occurred during your little one’s day. If you want your child to succeed in school and you have second-guessed afterschool programs in the past, it’s time to make the leap. 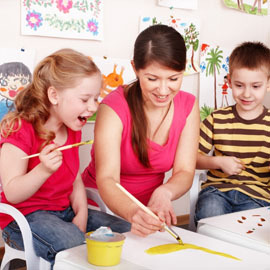 Afterschool programs are beneficial to all the children who are enrolled in them. First Class Child Development’s afterschool program is one of the best in all of Houston. 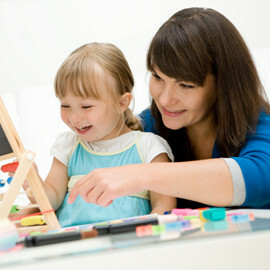 We will work to make your child passionate about learning while also making it fun. Contact us today to learn more about all that our afterschool program has to offer and whether or not our school is the right place for your kiddo.